DO YOU LOVE YOUR FABRIC? Have you considered what will happen to your precious stash when you are gone? 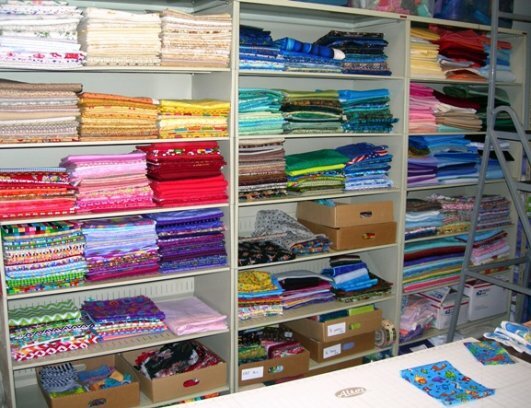 At Quilts for Kids, Inc. we will use your lovingly collected fabrics to make quilts for children, and your family will receive a tax donation for the value of your stash. What a wonderful legacy--comforting children in need! A library of "Audrey's fabric" now takes up an entire wall at headquarters. When Audrey, an avid quilter, passed away and left a room full of fabric, her wonderful family donated it to us. Since that day we have made dozens of quilts with it, and now other donated fabrics have joined its ranks. Audrey's legacy lives on and has helped us wrap many more seriously ill children in the comfort of hand-made quilts. Her family has also donated funds from her estate to set up an endowment to help with shipping the completed quilts to children across America! Please consider Quilts for Kids as a new home for your stash when you no longer need it. Your family will thank you for it. Feel free to print this page so everyone knows your wishes!